Professional Magician, Mentalist & Pickpocket for Hire in Yorkshire & UK!!! "Greg never ceases to make my jaw drop with what can only be described as some special stuff. My guests were talking about him for weeks after we booked him"
Are you looking for unforgettable entertainment for your next event? Have you thought of hiring a professional magician? Your guests are guaranteed to have fun! Greg Holroyd (also known as "The Glorified Con-Man) is a modern professional magician, mentalist and gentlemen pickpocket based in the UK. Forget about the top hats and rabbits, there's none of that here. Using everyday items and he will leave you scratching your head and howling with laughter! His first and main concern is to make sure YOU are happy and that your guests have an unforgettable experience at your event! From the material he performs to the dress code you desire, your event needs are important to him. If you have specific needs for the day, he will do everything he can to make sure you are HAPPY! Push play to check out Gregs showreel now! 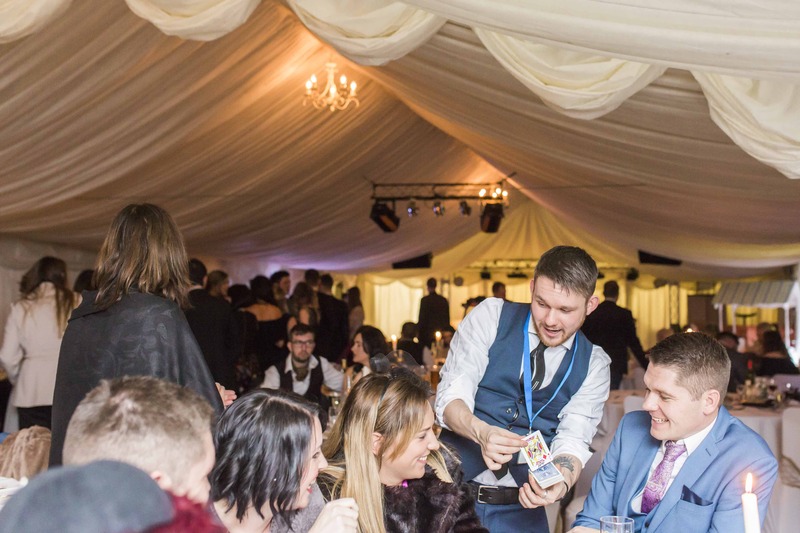 "Now, I’m quite a cynic when it comes to magic tricks, but this young man was actually amazing – he turned turn a big stack of cards in my hand to glass – I honestly have no idea how he managed that!" 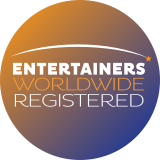 If you are looking for family-friendly entertainment that is perfect for a variety of events from Weddings, VIP/Private Parties, Corporate Events, Christmas pretty much any event you can think of, he can adapt and make your day just that much more magical. "Hiring me as a magician does not mean you have a magician for your event. Its means I am YOUR magician for the event. This means I will guarantee to do everything I can to cater to your needs. The most important thing to me is to make sure my clients are 100% happy with the service they pay for!" So what are you waiting for? If this sounds like the kind of entertainment you are looking for click on a picture below that best describes your event for more info now!